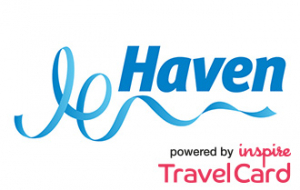 Haven powered by the Inspire Travelcard allows us to create packages for Haven. Whether you’re planning the perfect family holiday or simply looking for a few days away, sometimes there’s nothing better than escaping to the coast. At Haven, we’ll provide the perfect destination for your break and help you fill your days with fun with a variety of indoor and outdoor activities for all ages, from taking the plunge in our swimming pools to exciting family activities including climbing walls, archery and Nature Rockz.